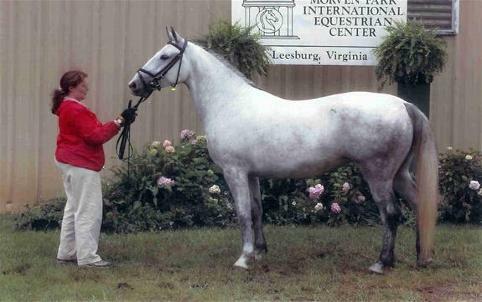 In addition to the stallions, there are 18 mare family lines. Click HERE for a description of the mare families. 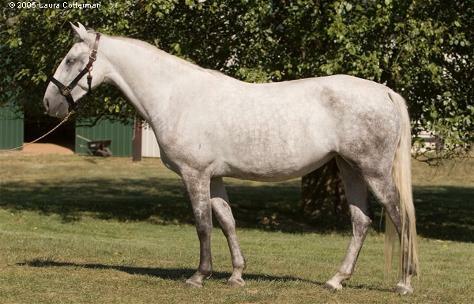 Touchstone Acres has imported a mare of the Sardinia Family. This founding dam was a grey mare of Karst breed, born in 1776. Mares of this family in Lipica are called Betalka and our mare is 280 Betalka V, foaled 2/14/01 in Slovenia near Lipica. Touchstone Acres also imported Betalka's half sister, a mare of the Almerina Family. The founding dam was Almerina, a grey mare from Kladruby, born in 1769. One of the important mares was Samira. Our mare is 302 Samira VI, foaled 4/1/01 in Slovenia. 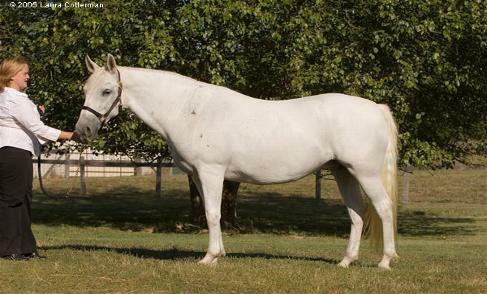 Our Altamira, 8/98 is also representative of the Almerina Family of mares, along with her daughter Aloka. 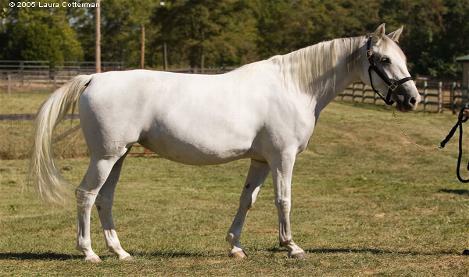 Our first lipizzan is a mare of the Europa Family. Europa was a grey Kladruby mare, 1774. Important mares of this family included Trompeta , found in Takoma's damline. Takoma's daughter Tokata is another Europa.